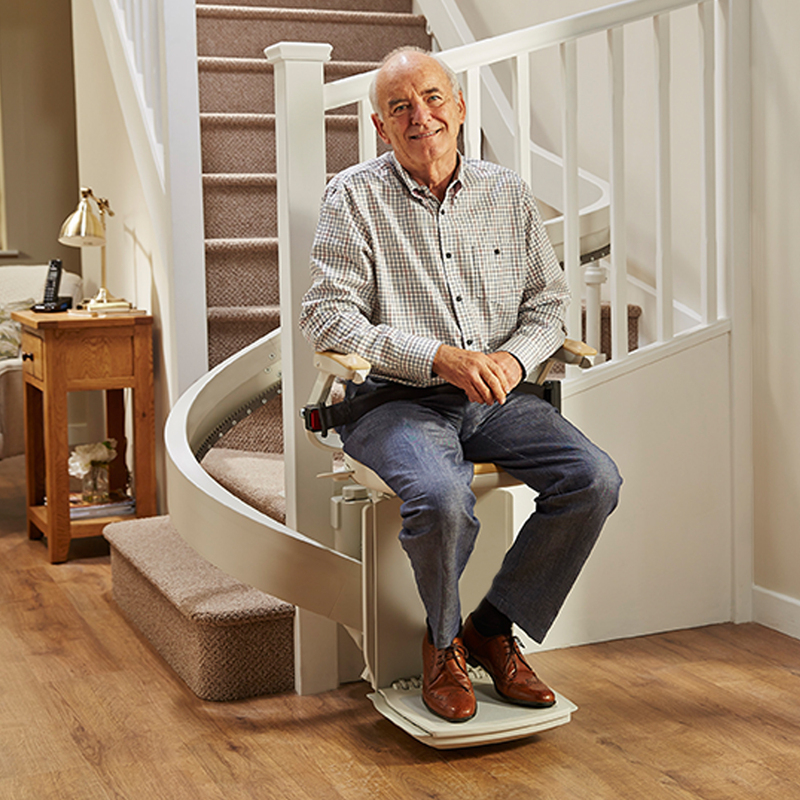 Fully secure inertia seat belt gives added security and peace of mind when using the stairlift. Slim stair lift design with fold-away seat, foot rest and arms. Single stair lift rail that uses an innovative speedy install which means an attractive rail with fast installation times. The stair lift can be safely locked and deactivated with a key. All Brooks straight stairlifts are guaranteed for a period of 3 years from the installation date. The guarantee covers you for all mechanical failures through defects in manufacture of the straight and curved stair lift.